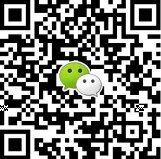 the space’s defining features were borne of challenges. 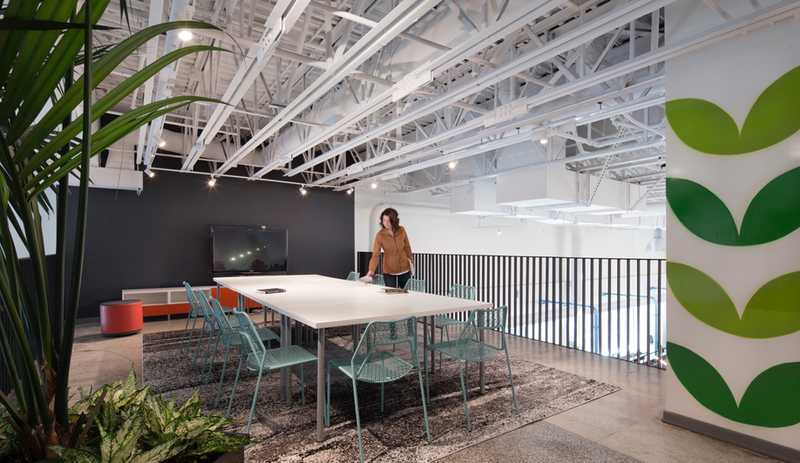 Due to the double-height ceiling, Linebox was able create workspaces on mezzanines, install a splashy mural and create an open-concept core with sprawling views. 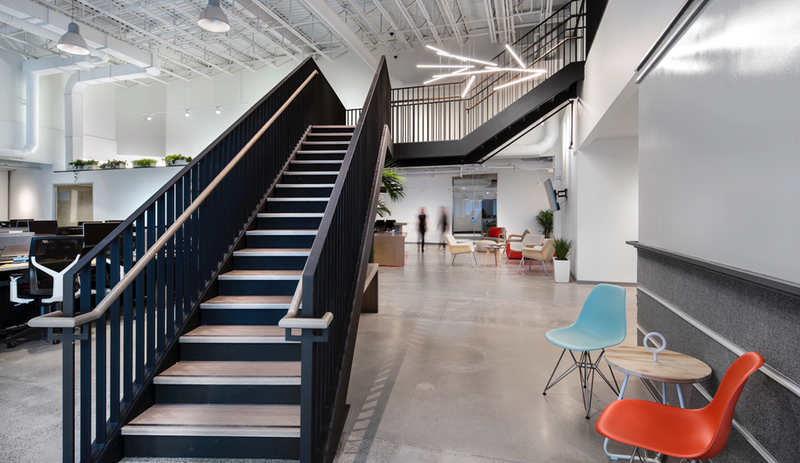 A custom-made feature staircase (above) is one of the firm’s biggest additions. 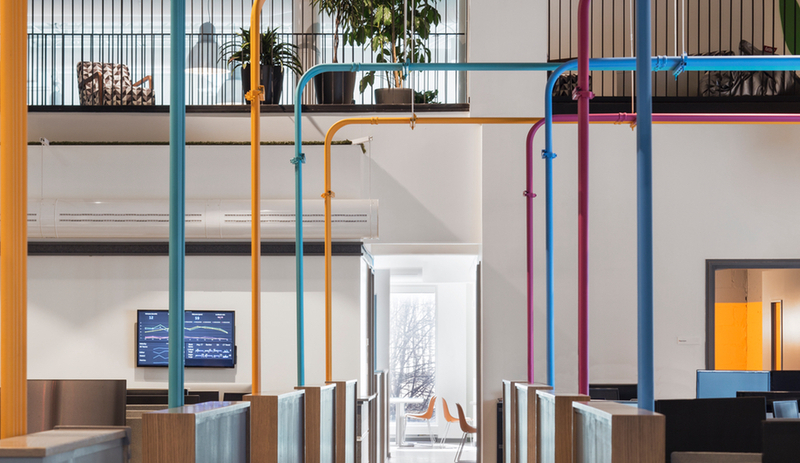 But its most whimsical may be the colourful conduits that rise above workspaces, which responded to a constraint: Linebox wasn’t able to cut into the space’s floor slab, so it opted to run data and power cables through conduits it painted to match Klipfolio’s dashboards. 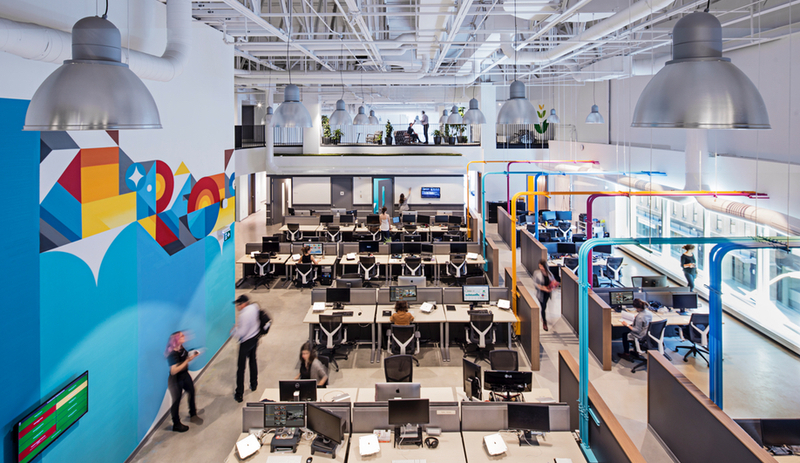 It resulted in a colourful “feature avenue” that adds intrigue to the work stations below. 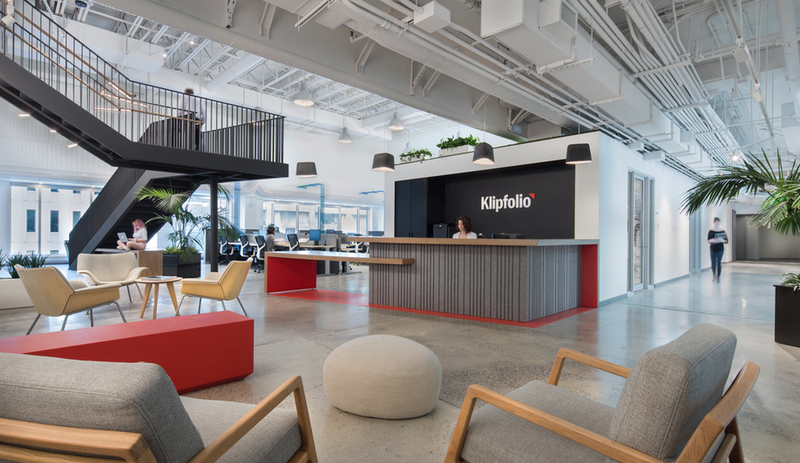 Throughout, the “beauty of this bare but oh-so-interesting space” was exposed, but there are also a number of other surprising touches – like Klipfolio’s old office signage, which sits in the centre of an open workspace. Each colour was hand-picked. 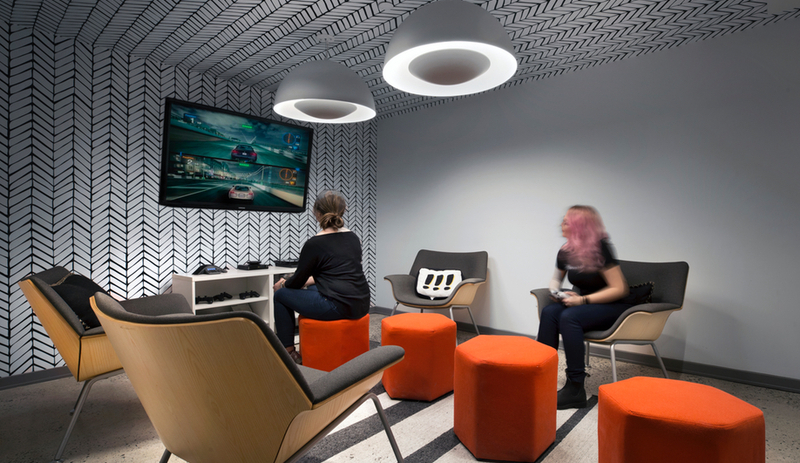 Each light fixture was debated.” The result isn’t only splashy colours. 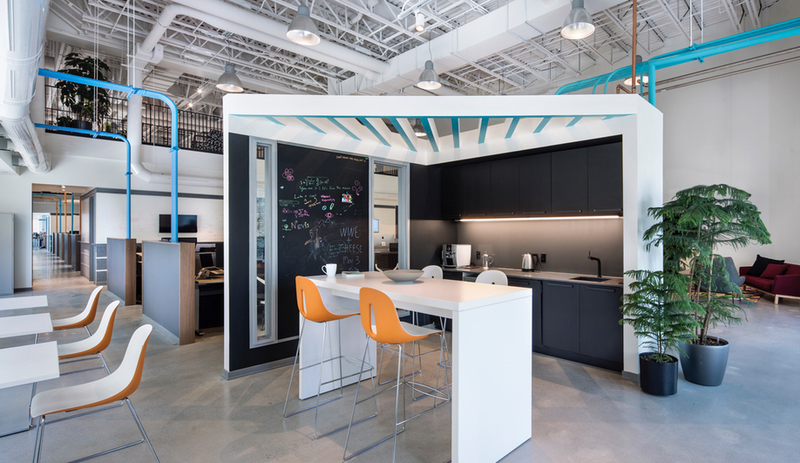 Klifolio’s office also has intimate meeting spaces tucked under mezzanines and workspaces with muted palettes – resulting in a playful interior that isn’t overbearingly extroverted.